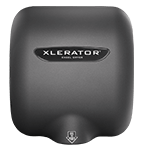 Pizza Shoppe saves a lot of dough with the XLERATOR® Hand Dryer. 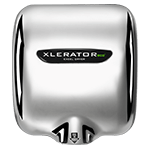 Paper towels have checked out at Chicago’s Fairmont Hotel and the XLERATOR® Hand Dryer has moved in, improving the guest experience and complementing the hotel’s high-end design. The first LEED-Certified bowling alley in the world uses the XLERATOR® Hand Dryer to handle its 2,000-3,000 daily visitors, promote sustainability and elevate the restrooms to the high-end design of the venue. 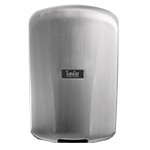 Gourmet burger restaurant serves 1,000 daily visitors while saving money, reducing maintenance and improving the guest experience with the XLERATOR® Hand Dryer.